TonVPN is brought to you by a small French company. Launched in 2009, the company aims to fulfill customer expectations by providing a high quality anonymity service. 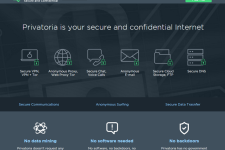 In this in-depth TonVPN Review, you will discover the features that are available with a TonVPN subscription as well as learn whether or not you should subscribe to the service. TonVPN has VPN servers in 5 different countries – United States, United Kingdom, Germany, France and Netherlands. Although the choice of server locations is definitely on a lower side, using the service would allow you to unlock local services from the above 5 countries as well as bypass censorship prevalent in many parts of the world. For instance, after you connect to the service, you would be able to access Facebook, Twitter, Gmail, YouTube and Skype safely from Saudi Arabia, Brazil, China, Qatar, UAE and Bahrain as well as unblock premium sites like Canal+, Lovefilm, iTV, 4OD, Pandora, NHL, Zattoo, Rara, USA Network, CTV, Arte, Eurosport, Spotify, Amazon Prime, TMC, Deezer, Hulu, RTL, MLB, MTV, NBC, Fox, Film1, CBS, Vudu, CWTV, Sport1, Xfinity, BBC iPlayer, Sat.1, ABC, CBC, Netflix, ProSieben, Demand 5, HBO Go and Vox from all parts of the world. The company even permits unlimited server switching within its network which means you can unlock location restricted sites from all the 5 countries by subscribing just once. 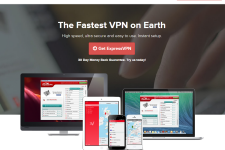 Although TonVPN offers unrestricted speed and bandwidth with all VPN plans, the traffic is restricted for its US based server (100 GB per month). The company delivers its service through top notch infrastructure which includes 100 MBit – Gigabit plus nodes. The high speed and bandwidth on offer makes the service ideal for resource hungry activities like streaming of HD content, VOIP, downloading/uploading huge files as well as for multiplayer online gaming. TonVPN protects your privacy with PPTP (128 bit encryption) and OpenVPN protocols (2048 bit encryption). The PPTP encryption is well suited for online activities where speed and device compatibility are important while the OpenVPN protocol offers excellent protection for your social accounts, passwords, shopping activities as well as financial transactions. The service even provides strong protection from hacking, sniffing and data theft while you are connected to an unsecure Wi-Fi network at a mall, public park, airport, coffee shop or a hotel. For enhanced security, the company provides access to Nat’d (Network Access Translation) ports with every VPN subscription. A Nat’d port routes your traffic through a dedicated port and provides an extra layer of security for small businesses and individuals alike. While TonVPN does not monitor online activities of its customers, it keeps logs for its US and French servers as per the local laws. However, the company will not hand over customer data to third parties or law enforcement agencies unless it is compelled to do so by a court order. TonVPN’s privacy solution is compatible with Windows (2000/XP/Vista/7/8), Linux (Debian/Ubuntu/Fedora), Mac OS X, Android based Smartphones and tablets, iPhones, iPads and Windows Mobile devices. The company does not provide a proprietary VPN client so the installation has to be done manually. 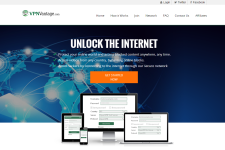 However, the company has published detailed setup guides on its official website so it becomes easy even for novices to set a VPN connection in no time. It is even possible to use VPN Lifeguard application with the TonVPN service (for Windows) to auto-reconnect broken VPN connections and to prevent certain applications from accessing the internet when the VPN connection is down. TonVPN offers customer support through email and live chat. Unfortunately, the company does not guarantee round the clock support and may prioritize the tickets as per their severity so you may need to wait for few hours to get your issue resolved. However, the company has published excellent troubleshooting instructions in its FAQ section so it is possible to resolve common VPN errors on your own. TonVPN offers 4 different VPN plans for its customers. The Medium and Medium+ plans provide PPTP encryption along with 3 Nat’d ports whereas the Max and Max+ plans provide OpenVPN encryption with 5 Nat’d ports. In addition, the Medium and Max plans offer shared bandwidth and access to just German and French servers whereas the Medium+ and Max+ plans offer dedicated bandwidth along with access to all servers. 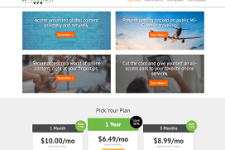 The VPN plans are reasonably priced with the Medium plan starting at 5 Euros per month, the Medium+ plan staring from 7 Euros per month, the Max plan available from 8 Euros per month and the Max+ plan available for 9 Euros per month. The company provides a 3 day free trial but it does not offer refunds so you must use the trial account to test the capabilities of the service. The company accepts payments through PayPal and Allopass and it can take up to 2 days to activate your account. On the whole, TonVPN delivers a solid VPN service. While the company does not have servers at many locations and the customer support could have been better, the service provides advanced security features that are not available with other VPN services. We recommend subscribing to the free trial to check the speed and bandwidth on offer and upgrading to a paid subscription if you are happy with the service. For more information, please visit: www.tonvpn.com.